More than fifty people, drawn from the university and from local church and chapel congregations, attended this presentation by Dr Martin O’Kane. Drawing on video footage and digital photographs taken by Geraint Davies during a student educational visit to the Holy Land in the autumn term of 2005, and illustrating further certain sites from photographs taken in the 1890s by members of the Dominican Order, Dr O’Kane presented the audience with a vivid overview of the landscape. 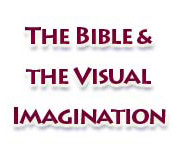 He showed how landscape can illuminate the Biblical narrative, and how such visualizing can inspire. He stressed the importance of the re-iterated Biblical phrase “Lo and Behold” and how highly visual are the texts of both the Old and New Testaments. Dr O’Kane also impressed on his audience the understanding that a significant number of holy places were the foci of pilgrimage and devotion by adherents to the three great religious traditions of the area — Judaism, Christianity and Islam. For example, the shrine and tomb of Zachariah is in a mosque at Aleppo, and the site of the Ascension of Jesus Christ is in another mosque set in the ruins of a Byzantine church and in the care of the Islamic community. Perhaps in this respect the most prominent of all, the magnificent mosque of the Dome of the Rock on the Temple Mount in Jerusalem houses the rock on which Abraham intended to sacrifice Isaac, and from which the Prophet Mohammed ascended into heaven. 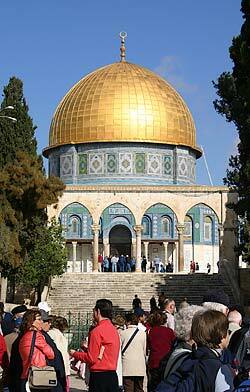 It is thus a holy place at the heart of all three religious traditions.